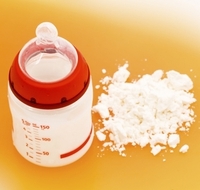 01 Dec 2015 --- Fonterra Australia and Bellamy’s Australia Limited (Bellamy’s) have announced plans to enter into a five year, multi-million dollar strategic agreement to manufacture a range of new baby nutritional powders. Fonterra Managing Director Oceania Judith Swales says today’s announcement is part of Fonterra’s transformation of its Australian business. “This is our strategy in action for Australia where we focus on the areas we can win in a highly competitive market to deliver the best returns,” said Ms Swales. “We are actively growing our nutritionals business through strategic partnerships and agreements which will see the Darnum nutritionals plant move towards full capacity. “Our Australian business has particular ingredients strengths in cheese, whey and nutritionals, complemented by our strong consumer and foodservice businesses; and today’s announcement with Bellamy’s Australia - one of the fastest growing infant formula companies - reaffirms our strength in nutritionals. “The Darnum plant is a leading nutritionals plant in Fonterra’s global network. Leveraging our Fonterra Research and Development Centre in Palmerston North, the largest dairy innovation centre in the southern hemisphere, we will bring innovation to the Darnum plant and the nutritionals market to capture growing demand. “We are also nearing the finalisation of the Darnum joint venture with Beingmate Baby and Child Food Company Ltd following the recent formal approval by Beingmate’s Board and shareholders,” said Ms Swales. Ms Swales said the Co-operative had a clear plan to return its Australian business to strong and sustainable profitability. Fonterra and Bellamy’s will work to finalise the proposed arrangements by the end of the year, with the agreement commencing in 2016. "Fonterra is a global, co-operatively-owned dairy company, unlocking the natural goodness of milk to provide high quality products to our customers and consumers globally. NZMP offers the broadest range of ingredients in the industry, delivering solutions across the five key product groups Powders, Dairy Fats, Cheese, Proteins and Specialty Nutrition.